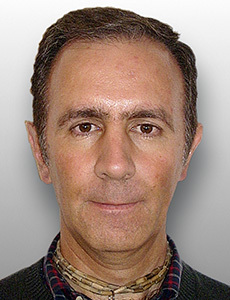 Adideva das (Alejandro Navarro Jose Benitez) is a Krishna West project leader in México City, México. He graduated in Basic Biomedical Research at the prestigious Universidad Nacional Autónoma de México (UNAM) and Mathematics at the Universidad Autónoma Metropolitana (UAM). He has participated in scientific research on Molecular Evolution, Bio-Mathematics and Molecular Biology. Adideva das has shifted his career after being disappointed with material science, to the business arena. Today he is the CEO and owner of American Rent SA de CV, a pioneer company in office furniture leasing industry in México. Adideva also wrote a full novel that is ready to be published. He has started his bhakti-yoga practice in 2004 and took initiation from H.D. Goswami in 2009. Has held managerial and leadership position in Iskcon México, married for 28 years, have two sons, lives in México City and enjoys playing tennis.